Kofi Annan, the former UN secretary-general who won the Nobel Peace Prize for humanitarian work, has died aged 80, international diplomats say. He "passed away peacefully on Saturday after a short illness", the foundation named after him said on Saturday (Aug 18). 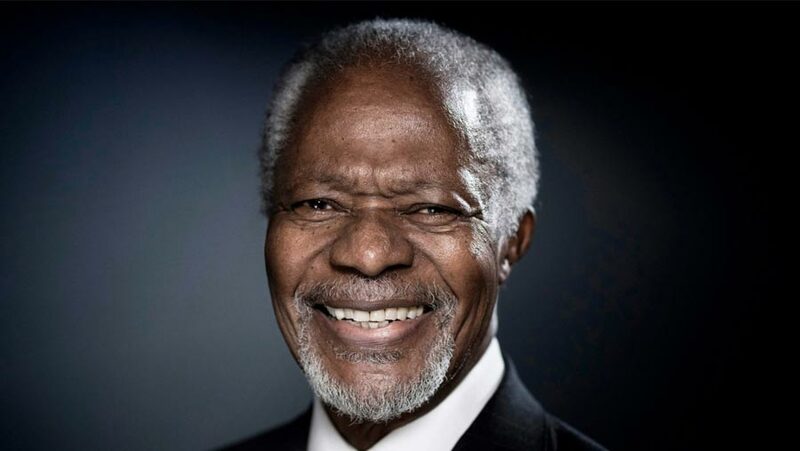 Annan was the first black African to take up the role of the world's top diplomat, serving from 1997 to 2006. He later served as the UN special envoy for Syria, leading efforts to find a peaceful solution to the conflict. Annan's tenure as UN secretary-general coincided with the Iraq War and the HIV/Aids pandemic.